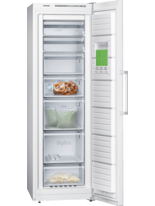 A large freezer maximizes the cooling and storage capacity. A large Chiller with more storage capacity. 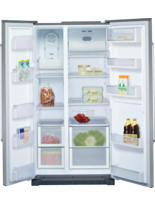 Freezer capacity: 241 liters, Fridge section capacity: 377 liters, 4 plastic shelf, 2 transparent freezer drawers, 5 Door bin, 2 ice cube trays, 2 ice cube trays, Freezer light.